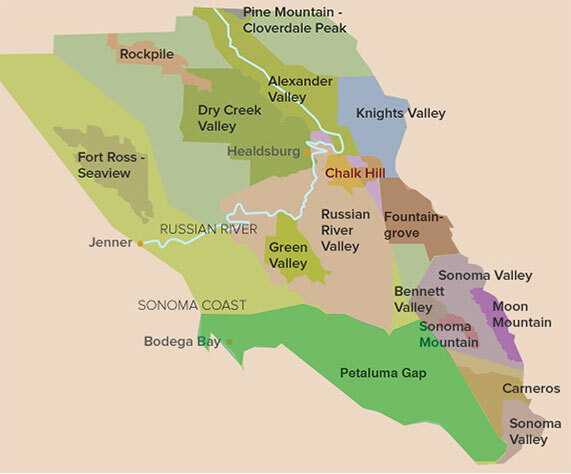 Towering above the eastside of Sonoma Valley in the Mayacamas range is Moon Mountain AVA. The designation helps explain the differences between valley- and mountain-grown grapes, as well as how farming high elevations can be challenging, yet rewarding. Some of the oldest Cabernet Sauvignon vines in the state are grown in this region.